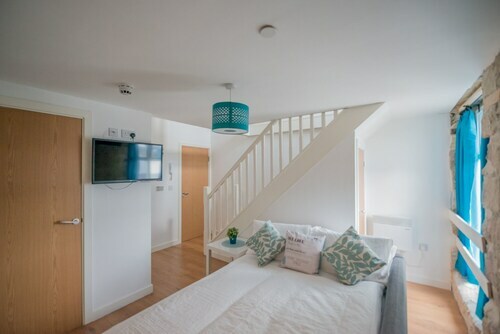 Situated in Leeds, this apartment building is 0.7 mi (1 km) from Kirkstall Abbey and within 3 mi (5 km) of University of Leeds and Leeds General Infirmary. O2 Academy Leeds is 3 mi (4.9 km) away. 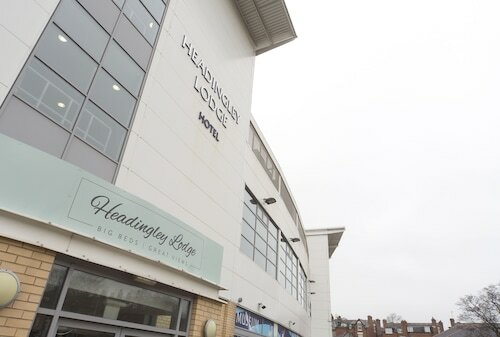 Headingley Station is 14 minutes by foot and Kirkstall Forge Station is 27 minutes. 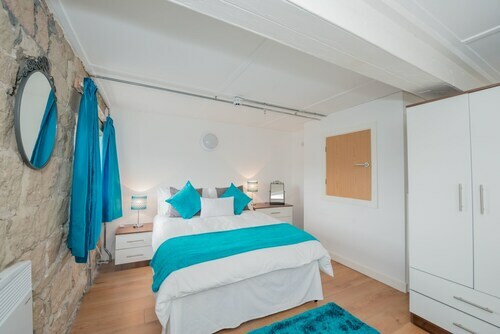 Situated in Leeds, this apartment building is 0.6 mi (1 km) from Kirkstall Abbey and within 3 mi (5 km) of University of Leeds and Leeds General Infirmary. O2 Academy Leeds is 3 mi (4.8 km) away. Headingley Station is 13 minutes by foot and Kirkstall Forge Station is 26 minutes. 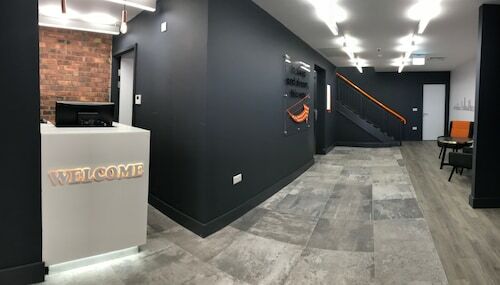 Situated in Leeds, this apartment building is within 3 mi (5 km) of Kirkstall Abbey, Leeds Industrial Museum at Armley Mills, and Headingley Stadium. Rodley Nature Reserve and Hyde Park Picture House are also within 3 mi (5 km). Leeds Bramley Station is 22 minutes by foot and Headingley Station is 25 minutes. 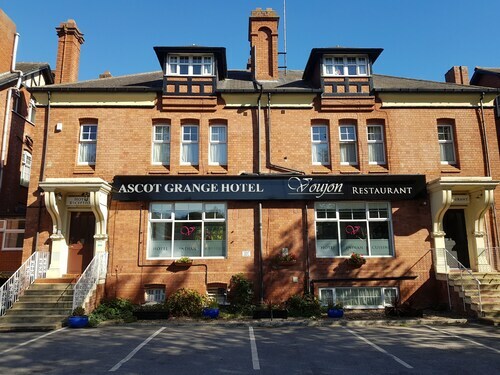 Located in University District, this hotel is 1 mi (1.5 km) from Headingley Stadium and within 3 mi (5 km) of University of Leeds and Leeds Metropolitan University. Leeds City Art Gallery and First Direct Arena are also within 3 mi (5 km). Burley Park Station is 24 minutes by foot and Headingley Station is 24 minutes. Kirkstall Abbey is a nice place to go to with the family. We advise that bring your camera along too! It is located in Leeds, approximately 35 miles (56 kilometers) from the marvelous city of Manchester. If seeing Kirkstall Abbey is your number one priority and you are a bit pressed for time, why not check into a place close by? You will find 2 accommodations within 0.1 miles (0.2 kilometers). 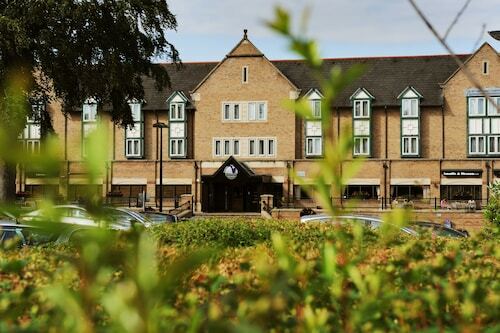 If traveling is an enjoyable part of the experience, you might like to think about staying in Harrogate, which is 13 miles (21 kilometers) away. That's where you will find another 2 places to pick from. Start your search for a comfortable room. 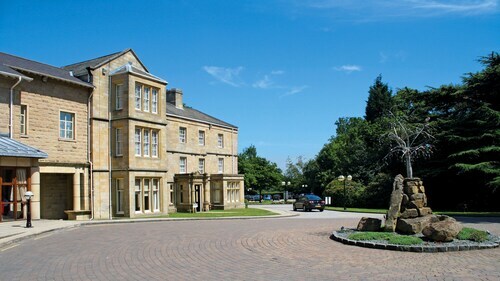 at The Majestic Hotel, Crowne Plaza Harrogate and The Grafton Boutique B&B. If you're not hung up on fancy features and just want to have a clean bed to sleep on, stay a few nights at one of the area's low-cost solutions. You can make inquiries at the Discovery Inn Hotel and the High Bank Hotel. You definitely deserve a night or two at one of the handful of upmarket establishments in the area. The Quebecs Luxury Apartments and The Chambers - Park Place - Apartments are well-known. In need of a caffeine hit? You can settle in for a coffee at The Gatehouse, just a short walk from Kirkstall Abbey. If you're after an establishment with a more extensive menu, Dos Amigos will be sure to satisfy a hungry tummy. It's the right time to round up your friends for a round of drinks when dusk begins to fall. Enquire about a local beverage at The Vesper Gate, also a short walk away. History enthusiasts enjoy tours of Abbey House Museum, an unforgettable historic residence. Tee up at Gotts Park Golf Club, a nice place to relax and play a round or two. Think about stopping off at Hyde Park Picture House to sit back and simply be entertained by a great movie. If you're always seeking knowledge, Leeds Industrial Museum at Armley Mills is worth checking out. When it's time to go home, jump on the train at Headingley, only 0.6 miles (1.0 kilometer) from Kirkstall Abbey. 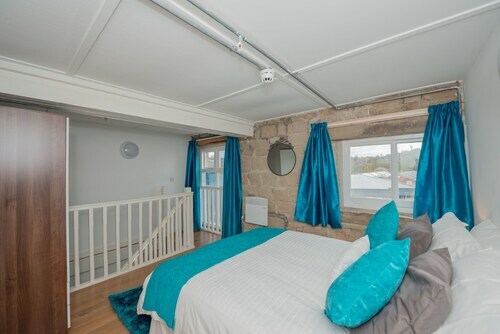 How Much is a Hotel Room in Kirkstall Abbey? Hotels in Kirkstall Abbey start at $24 per night. Prices and availability subject to change. Additional terms may apply.